Sculpt Away > Blog > Body Shaping > Speed of Light Body Contouring! Lose fat in under 30 minutes? It’s big news. You may have already heard about SculpSure™ from ENews!, The Doctor Oz Show®, People Magazine or Kyle Richards of Real Housewives of Beverly Hills. Modern medical technology can now permanently reduce up to 24% of fat in a treated area in just one 25-minute procedure. You will see final results in just 12 weeks! And you may start seeing results even faster – as soon as 6 weeks. So how does SculpSure™ work? SculpSure™ utilizes hyperthermic (heating) action of a highly effective laser wavelength to target fat cells up to 3 cm under the dermis (skin). This highly effective wavelength delivers a very controlled energy to cause apoptosis (a natural cell death) of the fat cells in the treated area. Once the fat cells are dead or dying, the body considers them unnecessary tissue and starts to filter them from the body just as it would any other unnecessary tissue. The body’s process for removing dead fat cells is gradual. These dead fat cells will naturally and effectively disappear from your body. This process takes about 12 weeks. Many patients may expect to see some visible results in 6 weeks, but full results usually occur at about 12 weeks. For some patients, up to 24% is not enough fat reduction. These patients may wish to undergo a second SculpSure™ procedure to remove additional fat. Second treatments to the same area can be performed as early as 6 weeks following the initial treatment. If patients wish to treat different areas, there is no time limit. Other patients may wish to treat more than one problem area. These patients may treat multiple areas at the same appointment or at any time after the initial treatment. 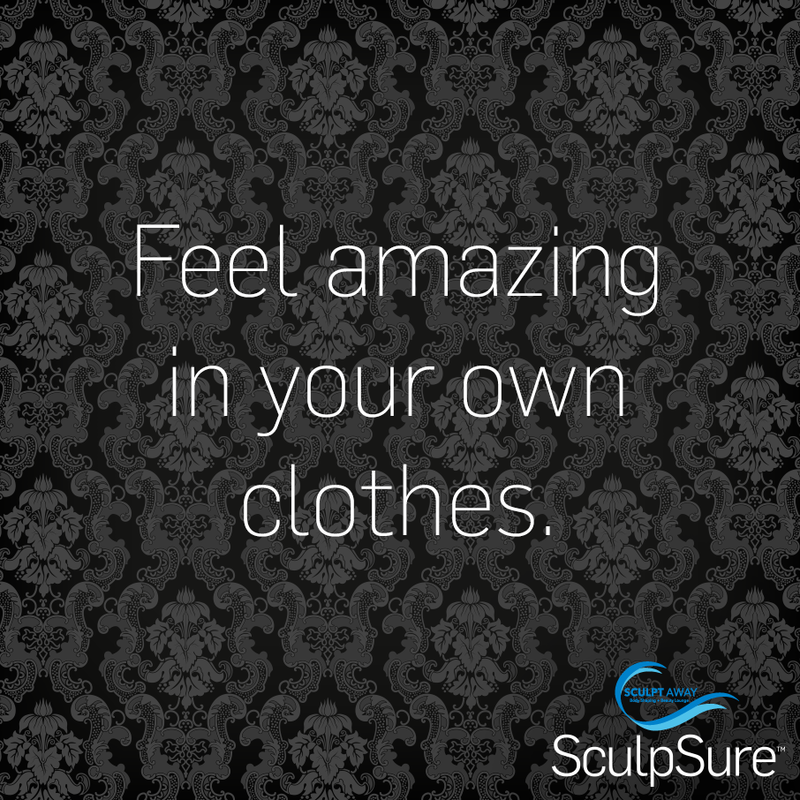 To find out if SculpSure™ is right for you, contact the body shaping experts at Sculpt Away in San Antonio @ 210-227-3051. Find more useful information at www.SculptAway.com.